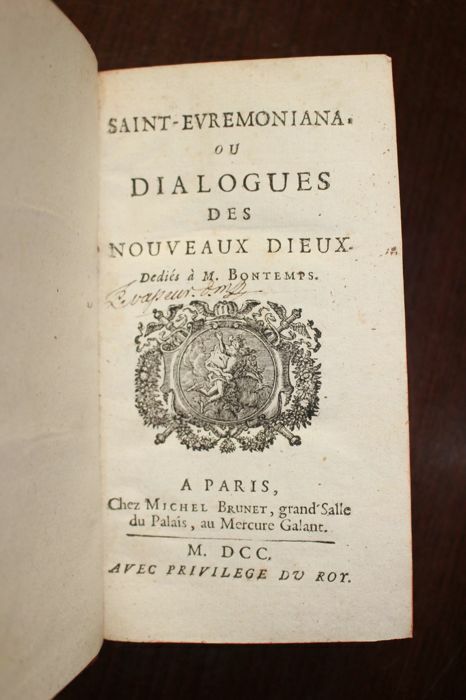 [Cotolendi], Saint-Evremoniana ou dialogue des nouveaux dieux. 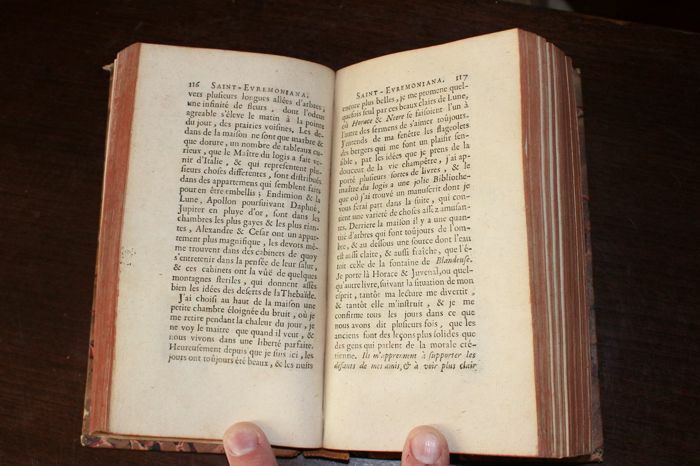 Paris, Michel Brunet, 1700. 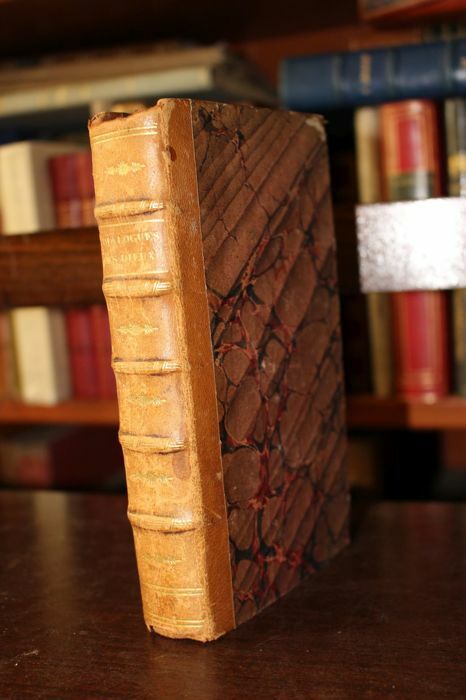 Duodecimo, -437-p.
First edition of this collection which will have several others in 1701, 1707, 1710, etc. 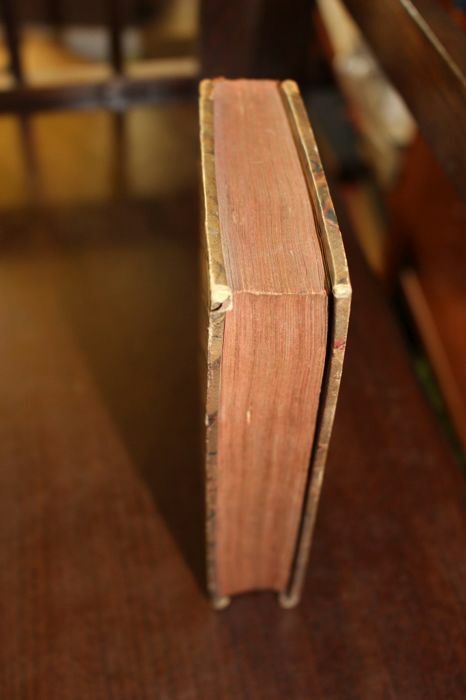 Half sheepskin binding of the early 19th, a worn crown, the other damaged, slight general yellowing of the paper.